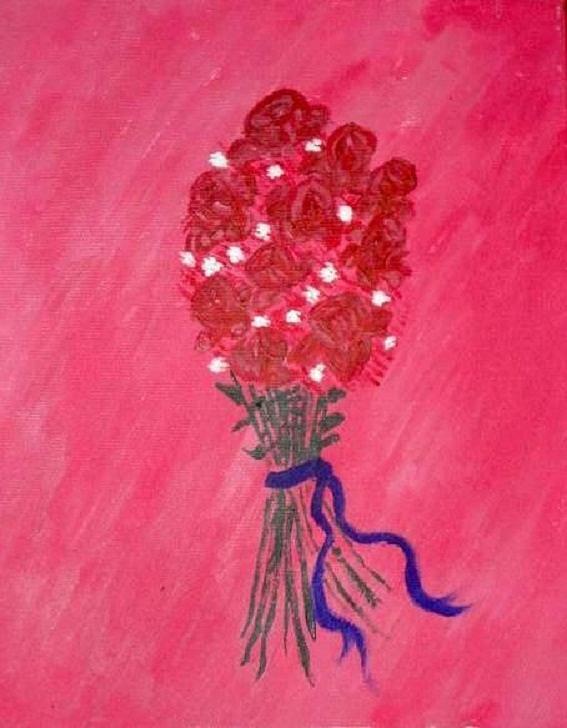 La Vie En Rose is a painting by Valerie Howell which was uploaded on January 20th, 2013. La Vie En Rose is about seeing life bathed in a rosy hue, of romance, and joy, roses tied with a blue ribbon against a bright pink background. There are no comments for La Vie En Rose. Click here to post the first comment.